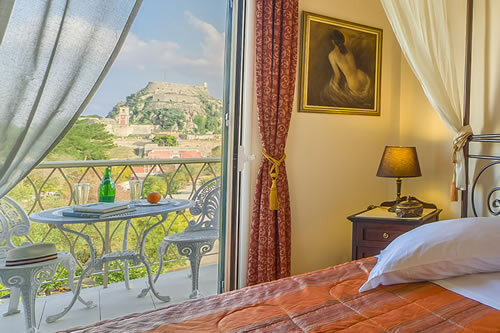 In the heart of Corfu Town there is a place to stay that beats with local charm, offers authentic value and is on the pulse of everything you’ll want to see and do. Every room in Arcadion Hotel has been fitted with handmade Corfiot furniture, rich fabrics and is fully equipped with modern conveniences creating a pleasant ambience and a comfortable stay for guests of leisure and business alike. Corfu Town is a UNESCO World Heritage site in recognition of its historical and cultural importance and Arcadion Hotel is at the very centre of it all. Arcadion Hotel is a landmark location for Corfu’s spectacular Easter celebrations. Easter at Arcadion Hotel is not your usual stay, it feels like an unforgettable privilege to be a part of it all. 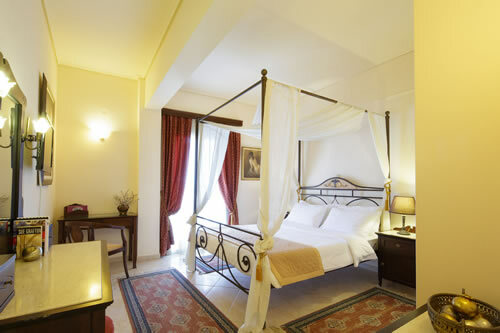 Arcadion Hotel is in a prominent position in the heart of Corfu Town. Getting here is easy and convenient any way you might choose. The distance from Arcadion Hotel to the main port of Corfu is 3 Km and the same from Corfu’s International Airport. Guests can easily book their taxi transfer online through www.corfutaxi.gr or you can hire a taxi directly, from the taxi ramp across the street from the hotel. There is public parking at a small cost just 100m away from Arcadion Hotel. Here you can leave you car or rental in order to explore the rest of Corfu Island. The city bus route that runs to Kanoni and back stops just a few meters away from Arcadion Hotel. There is also a regular service that goes past the port of Corfu. Convenience and proximity to shops and businesses in Corfu Town make Arcadion Hotel the best place to stay. Everything is simply in walking distance!